Wall Street has figured in another billion-plus dollar non-performing loan (NPL) sale for one of the GSEs, with Goldman Sachs coming in as the winning bidder on four pools of deeply delinquent single-family residential mortgages totaling approximately 7,900 loans and $1.48 billion in unpaid principal balance, according to an announcement from Fannie Mae on Friday. This is the fifth NPL sale for Fannie Mae overall since the sales began early in 2015. 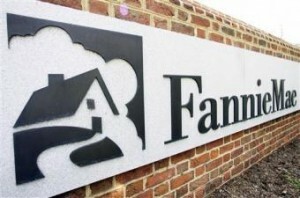 At the same time Fannie Mae began marketing this sale on April 12, the GSE also began marketing its third Community Impact Pool, which is a smaller geographically-concentrated pool targeted for participation by non-profits and minority- and women-owned businesses. Bids are due for the Community Impact pool on May 19. The Goldman Sachs transaction is expected to close on June 27, 2016. The sale is part of an initiative by the GSEs to sell deeply delinquent loans from their portfolios via competitive auction in order to help the borrowers on these loans achieve the best possible outcome. Eligible bidders in the auctions must meet qualifications and be approved prior to bidding. The NPL sales are also an important tool for the GSEs to more effectively manage credit losses on their delinquent loan portfolios. “We continue to strive to help struggling borrowers avoid foreclosure, but many loans remain non-performing despite our many attempts to pursue loss mitigation alternatives. With this sale, we continue to reduce our holdings of non-performing loans which creates additional opportunities for borrowers to avoid foreclosure, and limits the potential impact of these loans on Fannie Mae and taxpayers,” said Joy Cianci, SVP, Credit Portfolio Management, Fannie Mae. Pool #1 contains 3,571 loans with an aggregate UPB of $669,357,511. The average loan size is $187,443, weighted average note rate is 5.33 percent, weighted average BPO LTV ratio is 81 percent, and the loans are delinquent by an average of 48 months. Pool #2 contains 2,374 loans with an aggregate UPB of $445,425,048. The average loan size is $187,626, weighted average note rate is 5.34 percent, weighted average BPO LTV ratio is 79 percent, and the loans are delinquent by an average of 48 months. Pool #3 contains 1,777 loans with an aggregate UPB of $222,059,021. The average loan size is $188,665, weighted average note rate is 5.41 percent, weighted average BPO LTV ratio is 81 percent, and the loans are delinquent by an average of 50 months. Pool #4 contains 805 loans with an aggregate UPB of $146,797,937. The average loan size is $182,358, weighted average note rate is 5.45 percent, weighted average BPO LTV ratio is 85 percent, and the loans are delinquent by an average of 50 months. The announcement of the completion of the NPL sale to Goldman Sachs came one day after Freddie Mac announced its second NPL transaction of 2016—an auction of seasoned non-performing residential whole loans serviced by JPMorgan Chase Bank with an aggregate UPB of $135 million. Bids are due from qualified bidders on May 25, 2016, and the loans being offered as one pool. Northpointe Bank has announced that Bryan Neitzelt has been named as SVP, Capital Markets.